There’s something extraordinary about capturing the wedding day of a couple that trusts you so completely – a couple that invites you into their space and into their story to capture the day they commit their forever to one another. Jordan and Matthew are one of those couples. We knew beyond the shadow of a doubt that this was a wedding day we were meant to photograph. Jordan and Matthew got married at the very same place where Tim and I spoke our vows over six years ago. They decided to have their first look just down the path from where Tim and I had ours as well. But it wasn’t about nostalgia for us on Jordan and Matthew’s day. It was about being present with them, joining in their pure joy, and capturing it to share with all of you now. Each piece of their day was so uniquely them. Jordan, her mom, and her friend Justina created her own bouquet out of a handful of ranunculus. Matthew had a quiet, contemplative morning getting ready at Jordan’s grandparents’ lake cabin where she’d been living (the same one where we photographed their engagement session!) 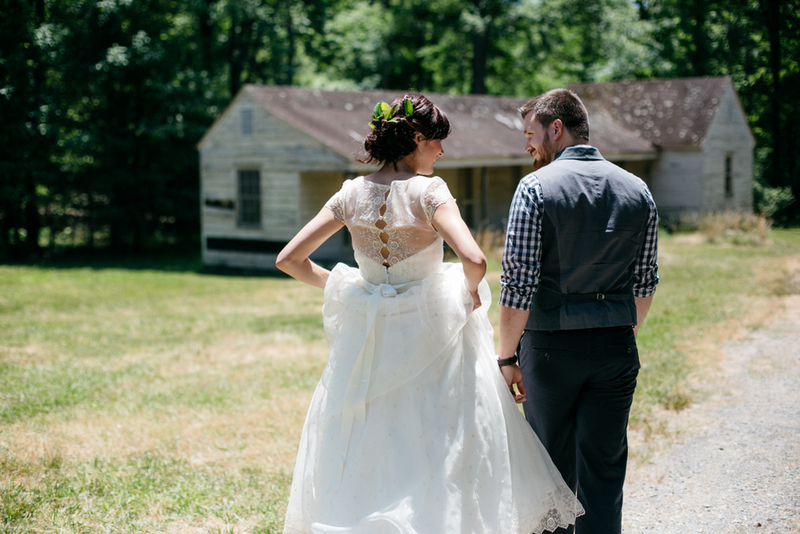 They opted for the side-by-side first look idea that we offered up – and it was perfect for them! It just made sense that they should do something a little more unique. 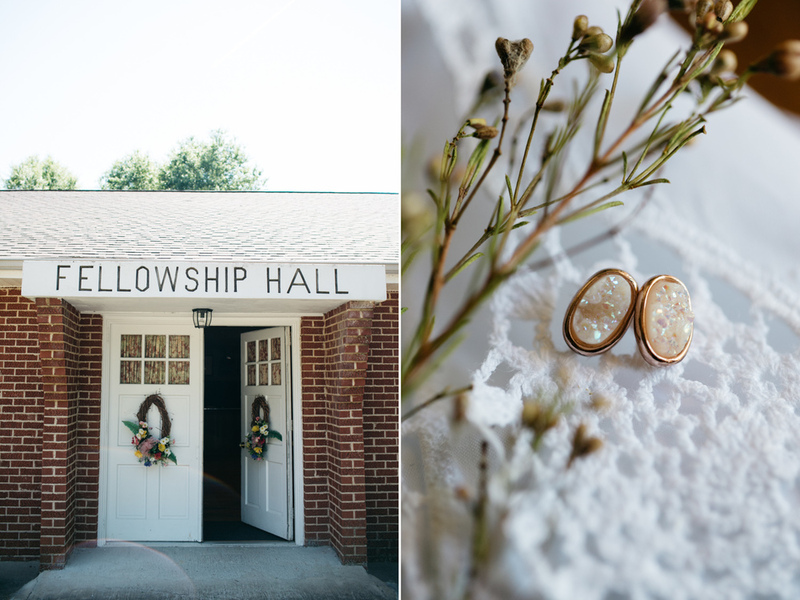 We spent over an hour with Matthew and Jordan, simply allowing them to soak in a little time together and fully dive into their day, with us taking photos all along the way. Even the ceremony and reception were uniquely tailored by Jordan and Matthew. They opted not to have a bridal party, instead focusing solely on their commitment to one another. Instead of a unity candle they had a tree-planting ceremony where their family members brought soil from each of their homes and poured it over the tree roots to symbolize the joining of their families to support Jordan and Matthew’s new family. After the ceremony the guests snacked on popcorn and a few favorite Southern drinks and snacks. They even had a potluck style dessert table with every variety of cake and pie you can imagine, all baked up by someone that is special to Jordan and Matthew. And to end the night, we all danced beneath the sky – yes, even Tim and I. When the mother of the bride commands you to put your cameras down and join in the fun, you don’t disobey.